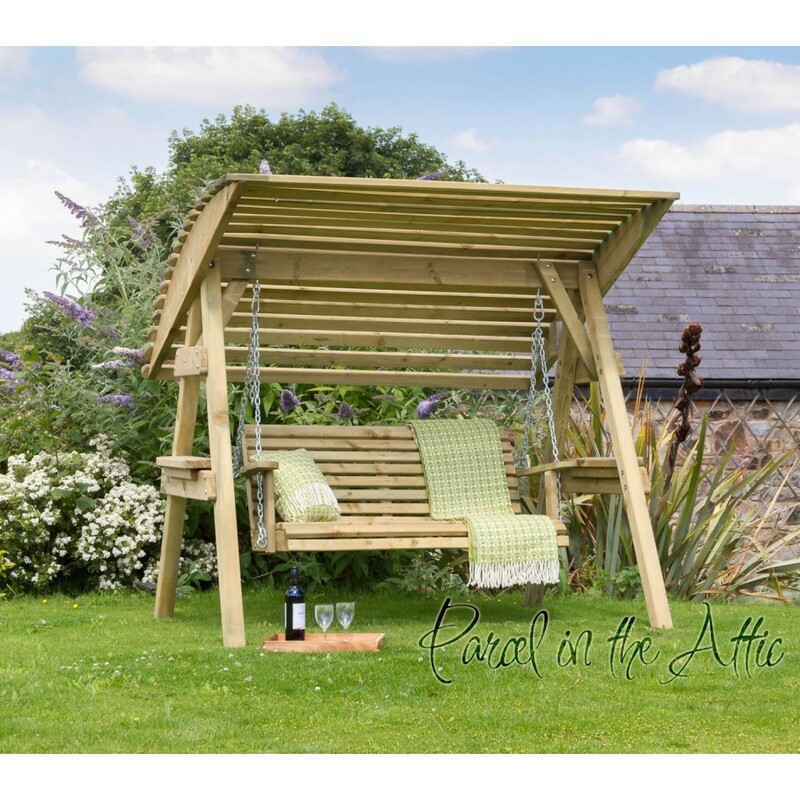 Sit back and relax on these attractive Garden Swing. A simple and elegant design, these swing are a great addition to any garden. Can be used without the canopy. Manufactured from high quality pressure treated timber to last longer, it comes with 10 years guarantee against rot. Delivery is only available to Mainland Wales, England & Southern Scotland. This a superb garden swing, it is well made and comfortable to seat on. I like the fact that "bench" is suspended on chains that can be adjusted in length. Although small, it is quite a feature in my garden! Customer service was very responsive and a pleasure to deal with. Sturdy, good looking and and comfortable. Fast delivery. Just what I wanted!